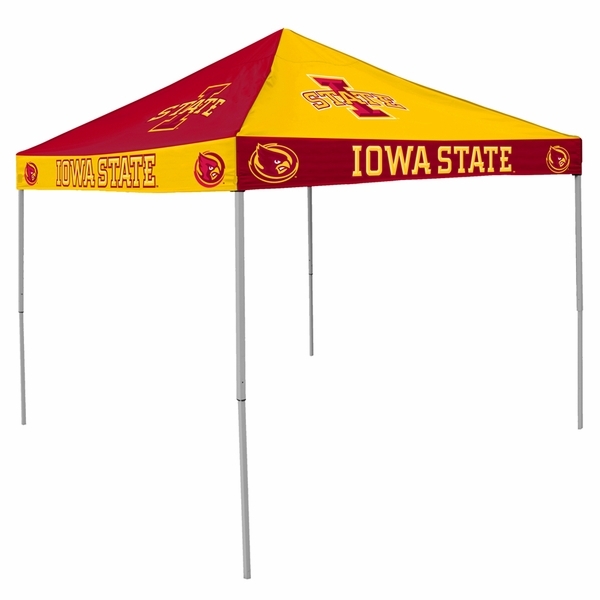 If you are a Iowa State Cyclones fan and you want everyone to know it, then this tailgate tent canopy is just the thing for you. 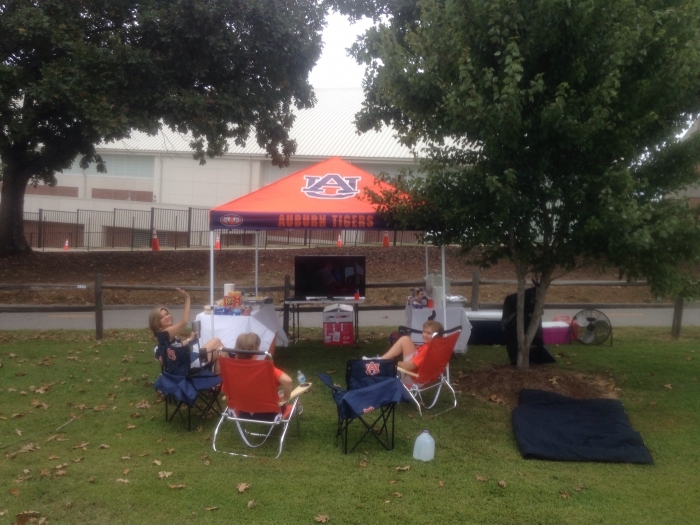 With the Cyclones name and logo broadcasted proudly from all four sides of the tent, this tent not only cheers along your team for you, but also protects you from inclement weather. Standing at 9 by 9, the powder-coated steel tubing frame is covered by a 200 denier polyester water resistant canopy. Ground stakes come with the canopy to increase stability and the frame retracts into 4-foot pieces for easy storage. 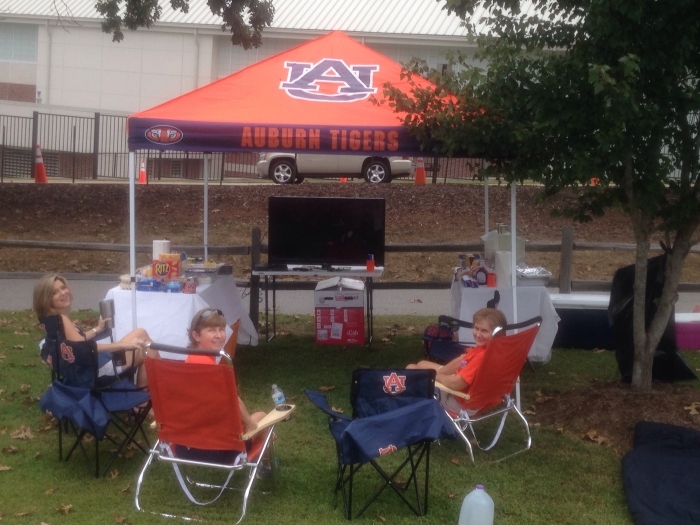 Is there a canopy that comes with sides? 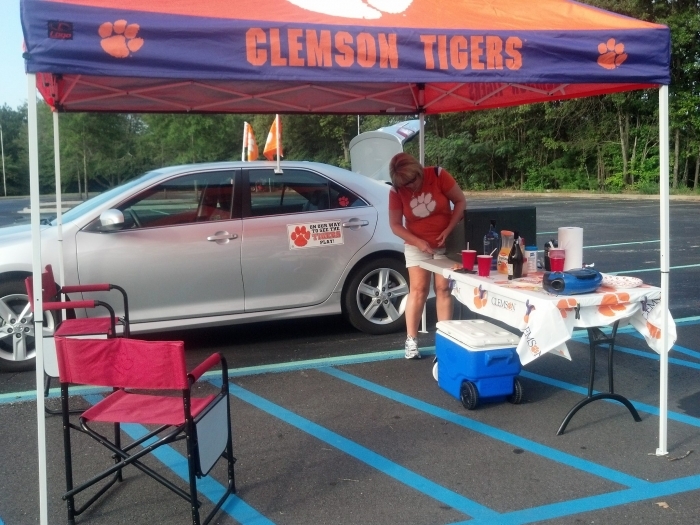 Not in the sports team canopies, although we do have several 10 x 10 Package Deals that come with side walls.